One of the most irritating and common requirements that I faced as a developer in SSRS 2005 was when I had to colour words in the same line differently. Even though SSRS 2005 didn’t provide an inbuilt feature to do this, this could always be done by placing the words in different textboxes. Suppose I had a title as Category = Accessories and Order Count = 19523 where Accessories and 19523 are retrieved from the dataset, and if I just wanted them in a single colour, I could write the below expression in a textbox. =”Category = “+Fields!Category.Value+” and Order Count = “+Fields!Order_Count.Value The hassle was when the customer gave the requirement that the values should be in a different colour and in bold. Now for this, we need to break the expression into different parts such that only consecutive words of the same colour appear in one textbox. Hence, the above expression had to be broken down into 4 textboxes:- 1) Category = 2) Fields!Category.Value 3) and Order Count = 4) Fields!Order_Count.Value and then each textbox could be given it’s own property. This would prove to be very annoying for the developers especially if the sentence was a very long one which had alternating colours in between. Also, unless you painstakingly spend hours in it, the spacing would not be 100% accurate. For eg, if you see in the above image, you can notice that spacing between the words is not uniform But with the advent of SSRS 2008, this issue is a matter of the past. Now you can directly type in your sentence and/or drag and drop the fields from the dataset or the report parameters. To change the properties of the required text, just highlight the part and then press F4 to view the property panel of the selected text. In the example above, I have highlighted the [Category] text. Notice how the property panel displays Selected Text, and not the name of the textbox. Now you can change the properties as you like be it the colour, indentation, font, etc. Another thing to notice is that instead of displaying <<Expr>>, we can actually see the words and the Field names have a placeholder. Eg, for Fields!category.Value, we actually see [Category]. 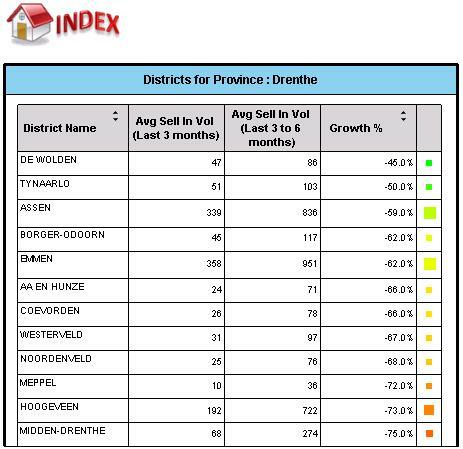 Also see below how neat the result looks compared to what we had in 2005. This can be extended to objects like tables and matrixes also. 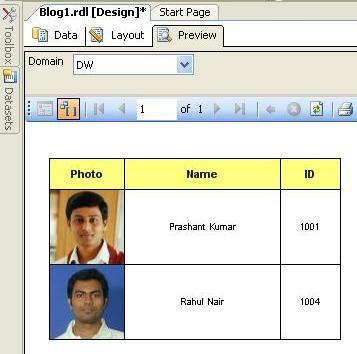 In SSRS 2005, if it was required to have a column partially bold or coloured, we had to make different textboxes and then enclose them within a rectangle. Then the rectangle could be used in the matrix. 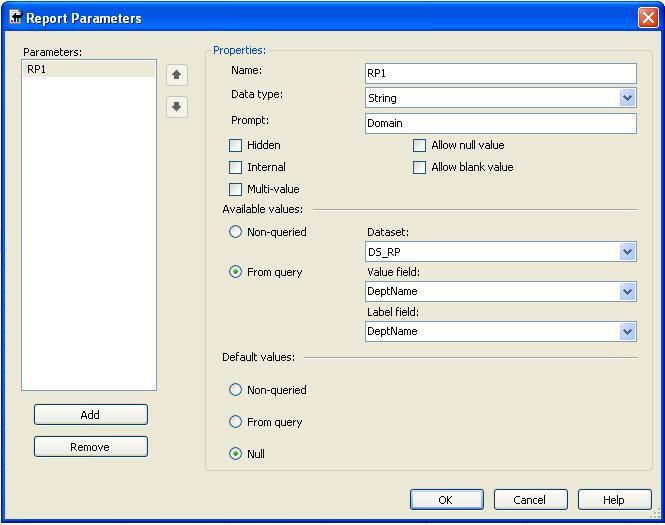 In SSRS 2008, you can just select the required text and edit as mentioned in the previous section. It is small features like this which makes me an ardent fan of SSRS 2008. Now, click on the Expression and then give the conditions for which the threshold value should be highlighted, lets say the maximum value for Category should be Green while all others should be Maroon. And now, when you preview it, the Category with the highest value would be highlighted in Green. You can also modify your expressions to highlight both the max & min value, or just highlight all columns above or below a particular value. Recently, I was asked to implement security on a set of sensitive measures, such as profit and all calculated measures on top of them as part of the cube development. It looked like a very straight requirement and I never thought I would have so many sleepless nights over it for the next 2 months. My very first way of thinking was using the default Microsoft cell security, where I would define a read-contingent policy for the sensitive measures. If you do not define an explicit read-contingent policy, the role will be able to read the derived measures of the sensitive Profit measure despite the fact that it does not have access to the Profit measure. 2) Performance went for a toss, and reports run under the RegularUser role started taking much longer time than when it was run under the PowerUser role. Later, I found that this could be mitigated with a technique given in this book (a definite must read for Expert cube designers, gives the inner details of SSAS like no other book has given) which I will try to put in another blog. 3) Even though the restricted measures were showing as #N/A in the cube under the RegularUsers, the reports started throwing an error when I just expected the #N/A again. There was a requirement for a report which had the sensitive data along with some 5 other tables and all other data needed to be visible to the RegularUser. So time for a workaround. 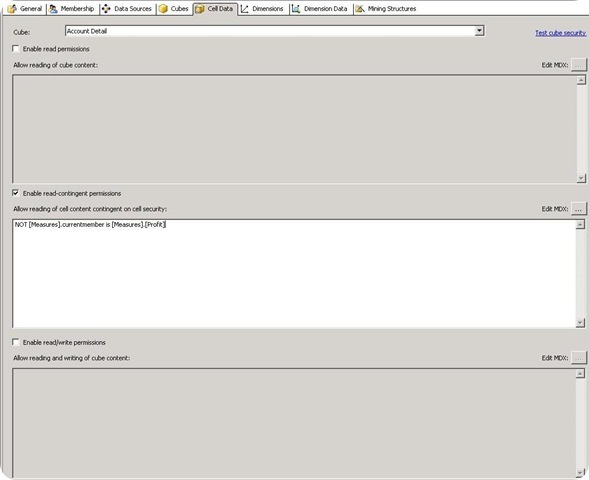 Luckily, I got guidance from Raymond Lee, MSDN forum moderator and came up with this approach. 1) I already had a dimension called Product. Added a dummy attribute to the key of Product dimension, and called it as RoleSecurity. 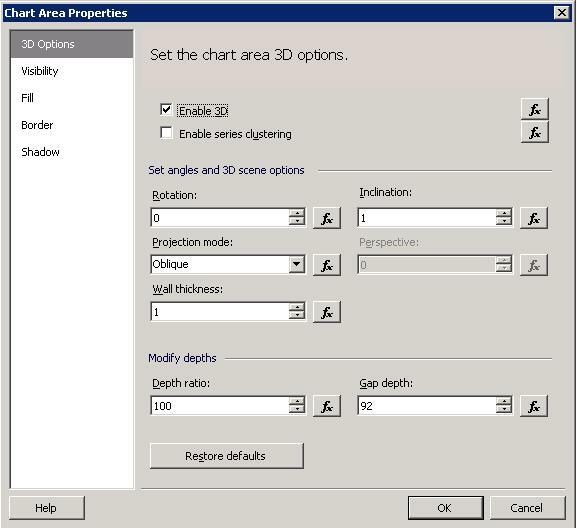 The value of this attribute would be 1 and this attribute is hidden in the product dimension. 3) I have 2 roles called RegularUsers and PowerUsers. PowerUsers have access to all measures, so no need to do anything there. For the RestrictedUsers role, select the Dimension Data tab and then use the “Deselect all members” for the RoleSecurity attribute. This implies that the users of this role will not have access to any of the values of this attribute. Once this is deployed, if a user of RegularUser role tries to view the Profit measure, he will see 0 as the result, while the PowerUsers will see the actual value. In the reports, the 0 can be used to conditionally display a message like “Not authorized” if needed. 1) Since dimension security is used, it doesn’t affect performance like cell security does. 2) Reports will not throw up error even if the measure is missing. 1) The Profit Original measure is not secured, jut hidden. If the user becomes aware of the measure and also knows how to use MDX well, he will be able to query it out. These are the advantages and disadvantages I can think of. In any case, it solved my issue because my business users don’t know MDX and will not be using any tool to query. It would be great if I get to know your views on this technique. Here is the link for the forum post regarding this. 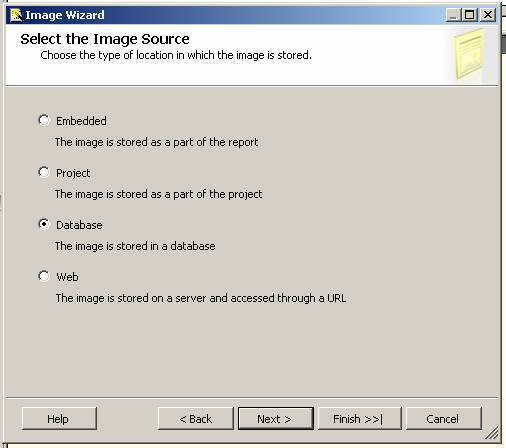 In one of my first projects, I was asked to store images in database and then use them for my SSRS 2005 reports. The newbie I was, for a moment I was shell-shocked how I could store images in a database, let alone use them in my SSRS reports. Fortunately for me, I mumbled to my client the most used phrase in the IT indutsry that I will check with the team and let him know, rather than showcasing my ignorance. A couple of searches and I had got all the matter that I required. 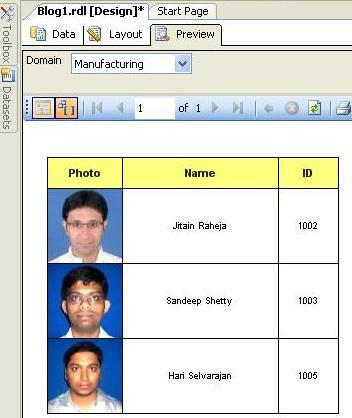 This post will show how to create a sample employee report based on database images. 1) To start, create the employee table and populate the data into them. Sample code has been given below but remember to give the location of the photos. 4) Go to the layout and then drag and drop a table from the toolbox. In the detail row of the first column, drag and drop an image. Then follow the steps of the image wizard. 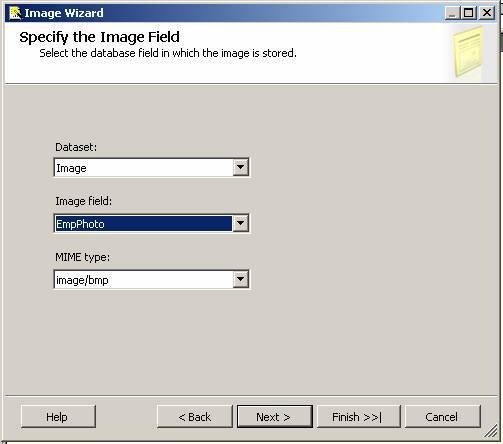 Once the database option is selected, click on next and select the datasource, image type and image field from it. 5) On the other 2 columns of the table, use the Emp Name and the Emp ID. 6) Click on preview. With a bit of formatting, you should be able to attain better results. 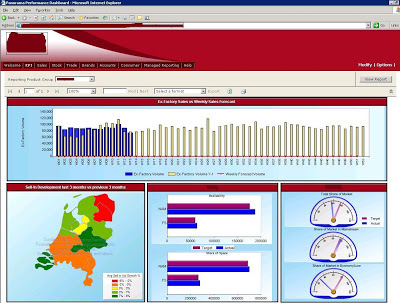 Now talking of dashboard, recently there was a post in the forums asking whether it was possible to create a heatmap sort of control which displays data in 2 dimensions – one dimension is the color which will keep on changing based on one measure and the other was the size which again increases or decreases based on a second measure. Even though it looked impossible in the beginning, I suggested a workaround – utilize the N character in Wingdings which will give you a square box. 1) Open the report and define your datasets with atleast 2 measures. 3) In that column, type the letter N and change the font to Wingdings. Now the tablix column should display a square. 5) Change the font size by adding the expression you like. In my example, the color changes based on the Growth% measure and the size changes based on the Avg Sell In Vol (Last 3 months) measure. This method can be further improvised to get some very nice dashboards. Recently, I have been bitten by the MSDN forums bug. I enjoy spending time in the SSAS and SSRS forums, and the learning that I take out from there is tremendous. Initially, I just used to read and learn, while now I reply to a lot of posts too (just the simple ones, keep the tough ones for the experts to solve 😉 ). This can be done by the FOR XML command. A handy command, especially because you don’t have to use stored procedures to achieve the result. I see that this post still gets a lot of hits, so just wanted to share the version that I use currently. The previous version works really slow with big tables, but this one works much faster.